If you’re anything like us, you love having your pets around. Having a dog can make your life so much better. They’re cute, fluffy, loyal, and part of the family! And just like family, they make their fair share of messes. So, here’s the age-old question: How do you keep your home clean with pets? 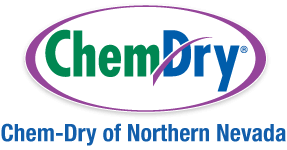 Chem-Dry is here to help answer that question. What your pets leave behind can increase the air quality issues in your home and even contribute to things such as: asthma, stomach illness, skin infections, and allergies. Add Doormats. These can help absorb things like dirt, mud, and water from your pets paws and keep it from spreading throughout the rest of your house. Bathe Your Pets Weekly. A good bathing routine not only keeps your pets smelling fresh with shiny coats, they can also decrease the level of allergens by 84%! Clean up Pet Stains Right Away. In this situation, the worst thing you can do is wait! Reacting quickly keeps urine and other things from soaking into your carpet’s padding and causing damage that is often permanent. Dogs often go right back to the same spot if not treated properly. Get Your Carpet and Upholstery Cleaned Professionally! Combine the tips above with routine vacuuming and you will definitely preserve the cleanliness of your home between professional cleanings. The EPA recommends homes with young children and pets have their carpets cleaned by experts every 3 to 6 months for the cleanest and healthiest home. Schedule a Carpet Cleaning from Chem-Dry of Northern Nevada Today! Carpet, Upholstery, Area Rug, Tile & Grout Cleaning in Reno, Sparks, Carson City, Winnemucca, Battle Mountain & Lovelock, NV.